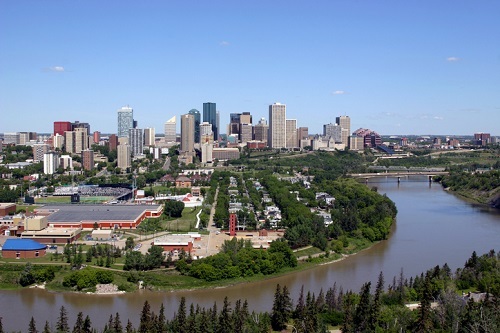 In its latest House Price Survey and Market Survey Forecast, Royal LePage reported that the average sale price of a home in Edmonton shrunk by 0.9% year-over-year in Q3 2018, down to $380,295. Only bungalows experienced a median price increase, growing by a miniscule 0.9% during the same time frame to reach to $379,782. Condos fell by 0.6% to $234,017, while two-storey homes suffered a more pronounced 1.9% decline to $432,789. Royal LePage Noralta Real Estate broker and owner Tom Shearer noted that the slight downtick is emblematic of a situation that has prevailed in the market for several months now. “It’s a buyer’s market as economic uncertainty in Alberta and the new mortgage rules have eliminated some of the competition. Buyers have a lot of choice, and they are taking their time to find the right property,” Shearer explained. In particular, the slower rate of new employment in the oil and petrochemical industries, despite the segments’ recent recovery, is biting into the general public’s purchasing power and keeping wary buyers from entering the market. Royal LePage predicted that by the end of December, the aggregate price of an Edmonton house will go up by 1.1% quarter-over-quarter to $384,486.